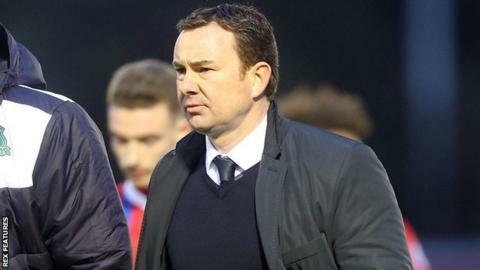 Plymouth Argyle manager Derek Adams says he hopes to start contract negotiations with his players soon. Most of his squad are out of contract in the summer, with players such as Graham Carey, Reuben Reid and Jake Jervis able leave the club for nothing. "I hope to do that very soon," Adams said when asked when talks would begin. "I just need to get the go ahead to do that and then we'll be in a place to speak to the players because I think that's important." Adams would not comment on reports that he could be close to bringing in former Manchester United, Leeds and England player Alan Smith to his side, who are currently top of League Two. He is reported to have been pictured with Smith in Plymouth after speculation that the 35-year-old could leave Notts County this month. "Whatever is said is pure speculation," Adams told BBC Radio Devon of his meeting with Smith. "The supporters will be the first to know if there's any activity in the transfer market and we'll give them that news as soon as we have any news." But Adams did say that he would be looking to strengthen his squad in January, having managed to extend the loan spells of Oscar Threlkeld and Craig Tanner from Bolton and Reading respectively. "At this moment we've only got 18 players that we can choose from," he said. "There's no doubt that we're looking to add to that number for the 21 games remaining. "We're looking all over as we need strength in depth for the run in to the season. "I think it's important that we have that - we've seen that when you pick up a couple of injuries that you can be short and we don't want to be that way come the end of the season."